It looks like Nokia has decided to change the name of its Symbian OS, with the new version which was previous called Symbian Belle, now being called Nokia Belle, and Nokia has announced that the latest version of the software is headed to Symbian devices soon. Nokia has announced that it will release the new version of Nokia Belle to a range of devices in February 2012, and the list includes the Nokia N8, Nokia E7, Nokia E6, Nokia X7, Nokia C6-01, Nokia Oro and the Nokia C7. 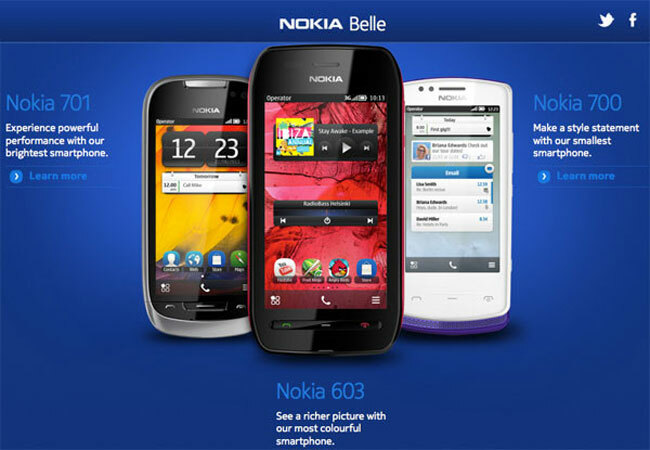 The all new Nokia Belle (previously Symbian Belle) user interface will soon be available for download to some existing smartphones and begin shipping with a selection of smartphones that are already on the market. You can find out more information about the new Nokia Belle software update for existing Nokia devices over at the Nokia Blog.